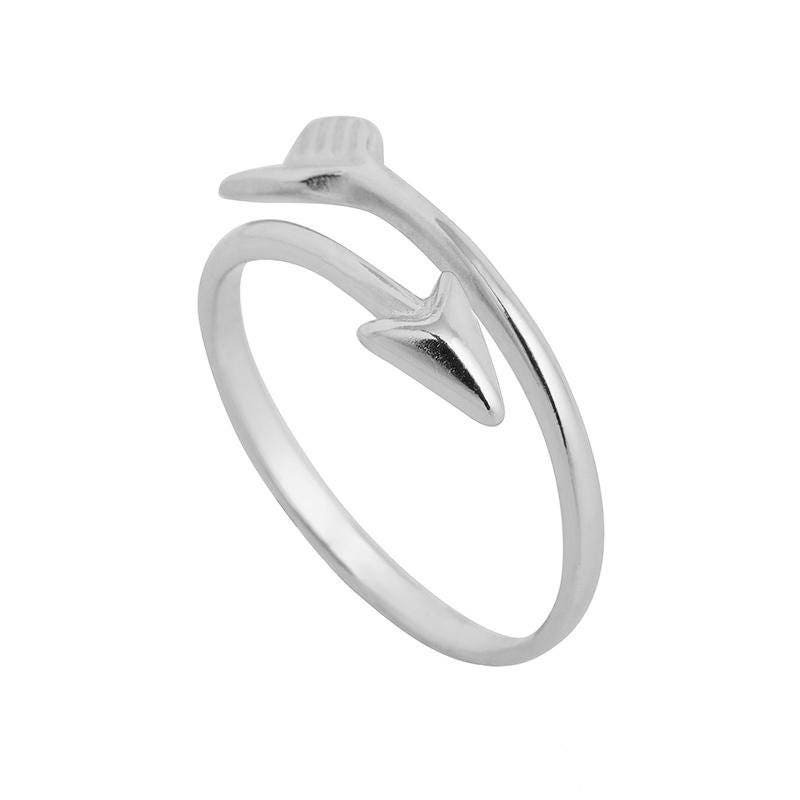 This silver open arrow ring pays homage to one of the oldest tools of mankind. Whether used as a tool by hunters, a weapon for soldiers or in sport by archers, It is an ancient instrument which has been used by man for millennia. Although virtually obsolete now, we still recognize it as a symbol and an icon. 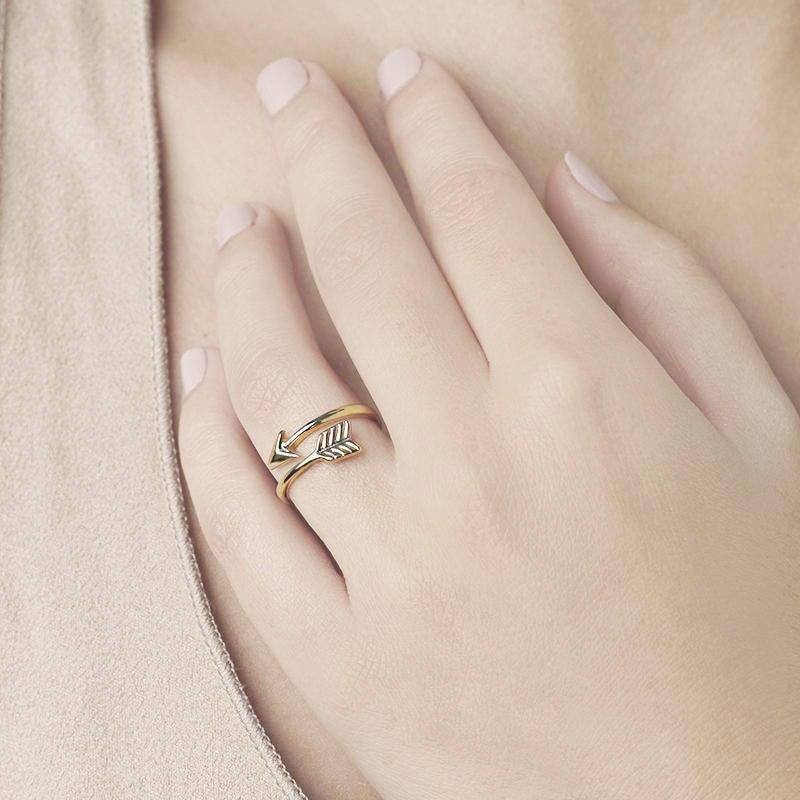 This arrow ring is synonymous of love from Greek mythology, for it was Venus who gave her son Cupid a golden bow and arrow. 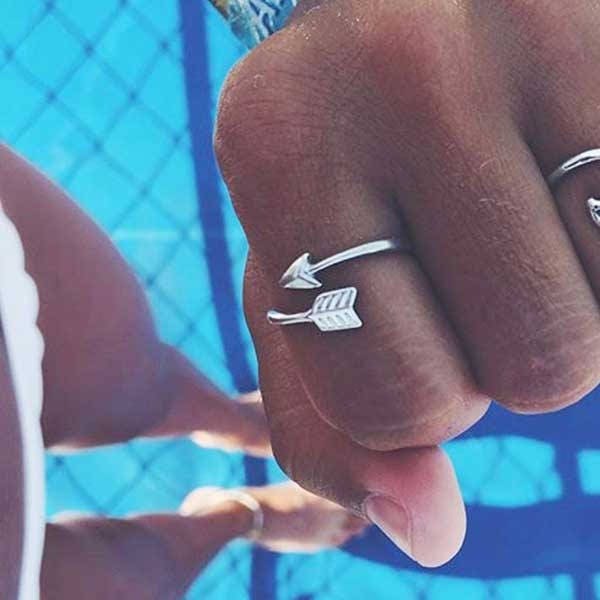 Second, the arrow ring also symbolizes strength as our ancestors, on many occasions, used them to hunt for prey. Finally, it was used as a weapon of war. 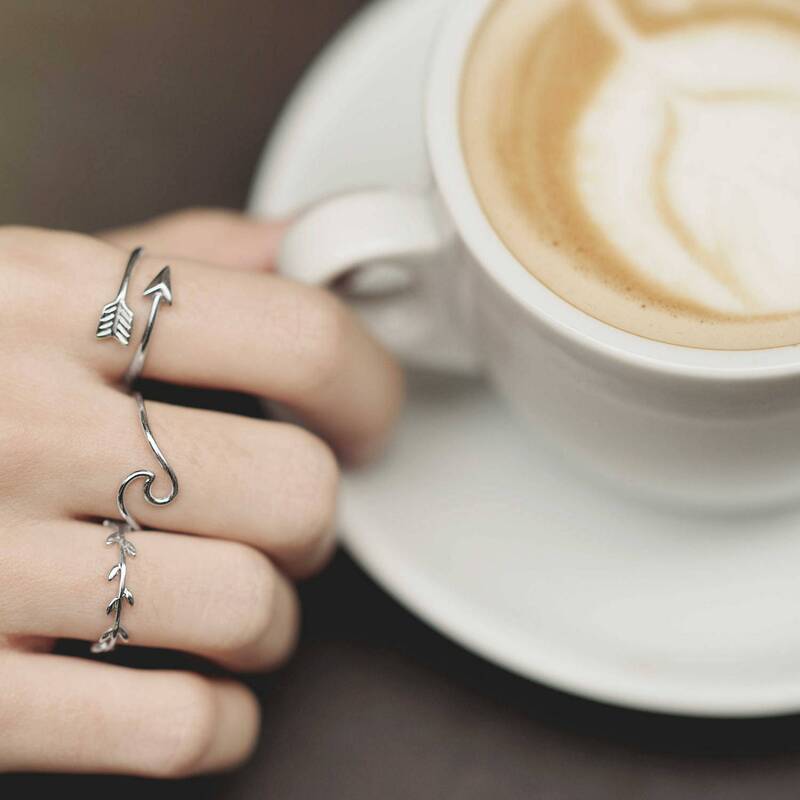 Pieces like this silver ring are not only jewels, they also have meaning and history, so you can recognize and enjoy the symbolism every time you wear this arrow ring. Lovely ring, just what I was looking for. Great service! Perfect and delicate :) Will order one for my daughters birthday soon.